During my senior year in college, with medical school acceptance letter in hand, I was diagnosed with metastatic testicular cancer. Initially, life became planning surgery and meeting doctors, but early in my treatment course I received a letter that my health insurance had been exhausted and I would no longer receive any health benefits. This was after my first of four chemo cycles, with a major surgery still to come. Needless to say, this was a problem. My parents were both well educated, a lawyer and a chemist-turned-teacher, but this took everyone by surprise and presented a new crisis. We responded by dividing up tasks. My parents quickly inventoried all the assets, including the family home, and my sister called around to all the hospitals to see what could be done. She called the local and state governments asking for advice while I simply tried to eat food and get to class to graduate on time; I couldn’t have another tuition bill on top of my health expenses. I also started to look for a job, with a job came insurance – this much I knew. I went to the interview, a job as a management trainee in a car rental agency, with hopes that this job would be something I could get, could do during treatment, and would provide the insurance that would save my family from financial ruin at my hands – my disease. I went to a Jesuit college and learned that truth and honesty are paramount. So, I told the recruiter that I had cancer, I was in treatment, and that I would likely be done soon – all true. I didn’t get the job. I still didn’t have insurance and my next chemo session, with its massive bill, was coming very quickly. My sister learned that this would not be fun. One hospital said to her that they would treat me and then take us to court to get paid. Thankfully, I went to school in Massachusetts where a law was on the books that allowed me to enroll in health insurance without a pre-existing condition exclusion because my insurance being exhausted counted as a special qualifying event. I enrolled in an individual insurance plan, my care went uninterrupted, and I graduated on time. To this day, my sister and I remain grateful to Massachusetts for that single law, which is as much a part of my success as cisplatin and etoposide, the chemotherapy agents I received. The bills still mounted, but were manageable. I survived, personally and financially. I pushed off medical school for a few years to get my life back in order, and moved on. I had many scary moments during my treatment, from the plastic surgeon telling me my arm might need amputation to my neutropenic fever to being discharged just in time for my college graduation. However, what bothers me the most was, and still is, the sense of abandonment from my society when my insurance ended. I had insurance, my parents had good jobs and were highly educated, so how was I left in the breeze? With all the talk about health reform, I always kept quiet in the back as those around me in residency (which I completed in 2011) offered their opinions, and I realized that most of my colleagues were blissfully ignorant as to the financial burden of major illness. Between my own illness and my residency graduation, I also lost both my parents, got married, and had my first child. By my early 30s, I’d experienced healthcare as a provider, patient, son, husband and parent. Generalizations are always dangerous, but I felt as though nobody around me understood the financial impact of this massive industry. This gap in knowledge bothered me, so when I finished my training and joined the faculty, I dusted off my Economics degree and did something about it. Residents and medical students that are still in-training are entering a new world of healthcare, one where financial ignorance is no longer permitted. My small part is to begin and remove the blinders, to expose them to the other stress in their patient’s experience. There are safety issues and financial waste throughout our system. Bringing these to light in an educational sense provides me with personal and professional satisfaction. What did this Massachusetts law mean to me? When I recovered from my disease, my family and I had taken a physical and financial blow, but we could recover. Two years later, with my credit intact, I was able to borrow money to attend medical school. Without insurance, this never would have happened. There is more to surviving disease than outliving the pathology. The financial scars of medical care can be just as disabling to survivors of any disease, and as we grow and change as a profession, it is important that our providers of the future, today’s residents and medical students, have an understanding of the financial realities of their jobs. 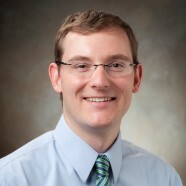 Robert Fogerty, MD, MPH is a practicing Hospitalist in New Haven, CT and Assistant Professor at the Yale School of Medicine. The views here are his own.